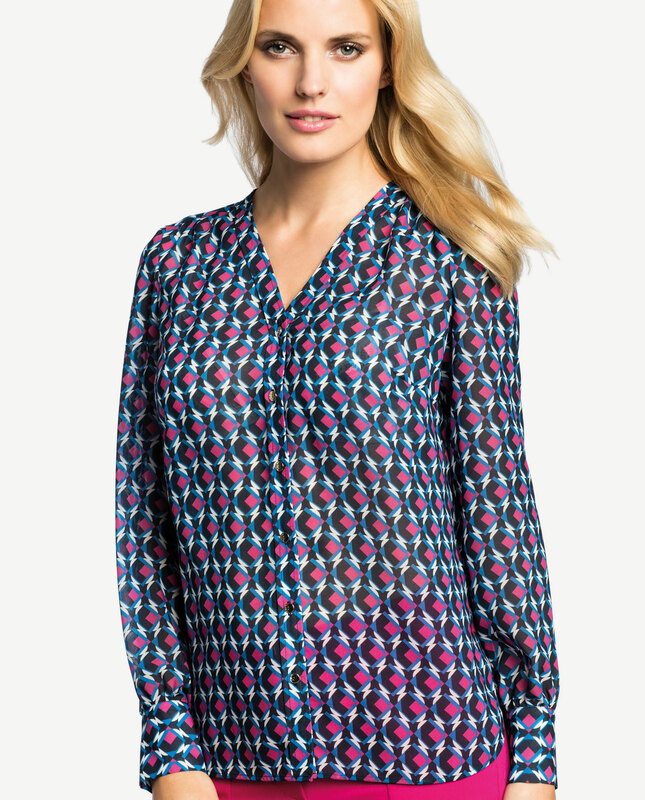 Elegant shirt with a fancy-patterned collar. This is a vintage style which will be ideal for many looks. Blouses, staple items in any woman’s wardrobe, provide for a countless number of looks. A small collar with a decorative button introduces subtlety into the entire look. Made in lightweight viscose fabric containing some silk. High quality material and fashionable patterns will definitely help to enliven your wardrobe. 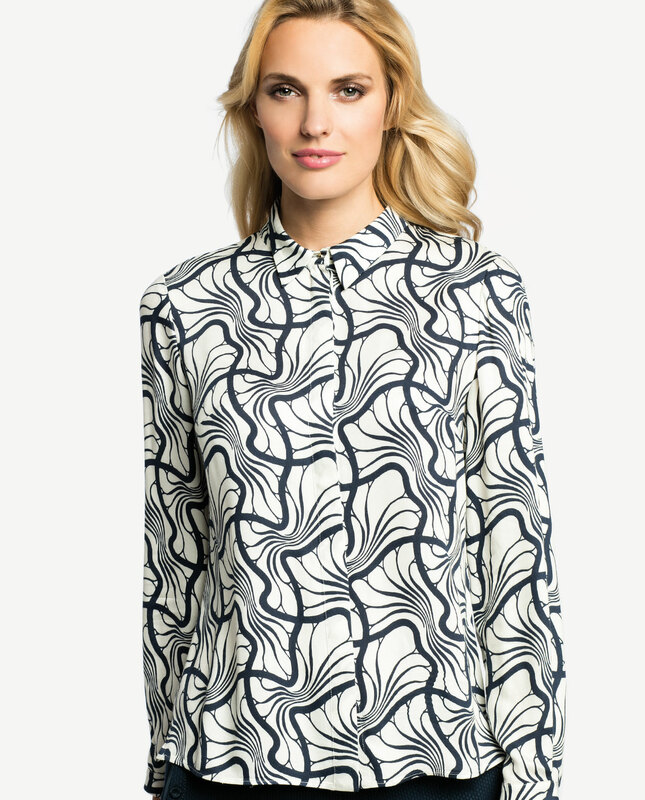 A blouse is a versatile and a timeless garment. Paired with high heels, it will be a perfect pick for a business outfit, and with flats and flared skirt it will create an informal, more casual look. Fastened with buttons concealed under a placket. Sleeves hemmed with a narrow buttoned cuff.